The connection between the main cities of Tuscany by train is absolutely great. 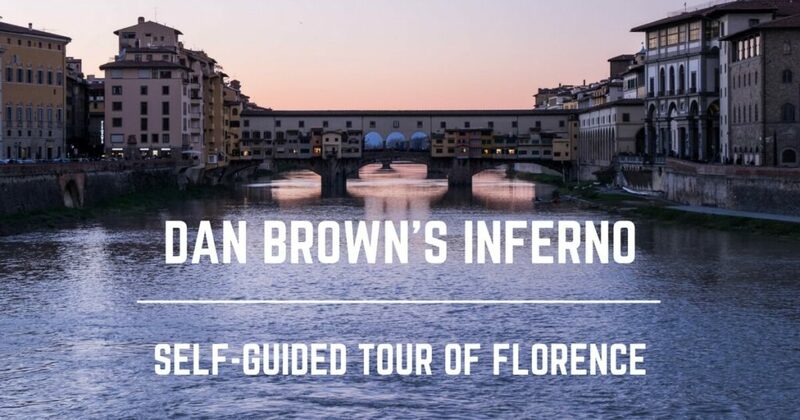 You can easily go from/to Florence and Pisa, Lucca or Siena, and move up and down along the coastline. Instead, it could be more difficult to reach rural areas and some small villages due to the lack of train stations. In this case, do not worry. Usually, public buses run between these hamlets and the closest rail stations. In Italy, there are two main train companies. Trenitalia provides high-speed trains (the Frecce), and also a widespread coverage of the territory with national and local trains. The other company, Italo, operates only with high-speed trains connecting the main Italians cities. The station of Firenze Santa Maria Novella (Firenze SMN) is obviously the main railway terminal of the region and is located along the route between Rome and Milan. It is from SMN that you can get high-speed trains to Milan, Bologna, Rome, Naples (Frecciarossa or Italo), and Venice (Frecciargento). Taking “regionale” trains instead, you can reach all the corners of the region. 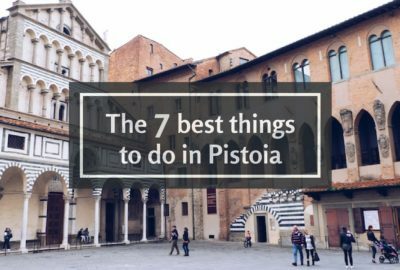 In approximately one hour you can be in the Piazza Grande in Arezzo, walk along the walls of Lucca, resting in the sun in the coastal Livorno, take a picture with the leaning tower in Pisa or get a plane at Pisa International airport “Galileo Galilei”. Pisa Centrale is another important station being a crossroad between the railway line coming from Florence and the coastal train route. Also, if you land in Pisa Airport, every 7 minutes, the train shuttle “Pisa Mover” runs from/to the central station. From there you reach your final destination in Tuscany by train. The journey takes only 5 minutes, and you can buy tickets directly at the platform from the ticket machines. The coastal railway line connects the main seaside resorts of Tuscany along the Riviera of Versilia (Viareggio, Pietrasanta, Massa, and Carrara), the Etruscan Coast (Livorno, Castiglioncello, Cecina, Campiglia), and the Maremma (Follonica, Grosseto). Moreover, if you take the south direction, you can reach Rome and Fiumicino International Airport. Instead, going north, you reach Cinque Terre, Genoa and Milan. Departing from Florence SMN, there are some daily Regionale trains heading to Siena. Instead, if you are in Pisa or Lucca, you have to get the train to Empoli, get off, and change locomotive. On the way, if you have time, do not forget to stop in Monteriggioni, one of our favourite villages of Tuscany. If you are heading to San Gimignano, stop in Poggibonsi and get a bus. From the southern Maremma, you can get a train in Grosseto or Montepescali. Reaching Chianti by train is not that easy, but it’s not impossible. The only two train stations of the “shire” where the famous red wine is made are Poggibonsi and Castellina. They are both along the route between Empoli and Siena. From these points, you can catch a bus to reach the villages you wish to visit without getting worried if you drink one glass too many. If you decide to visit this wonderful fairytale part of Tuscany by train, the stations where to stop are Montepulciano (on the line between Siena and Chiusi/Chianciano Terme) and Buonconvento (on the line that connects Siena to Montepescali in Maremma). 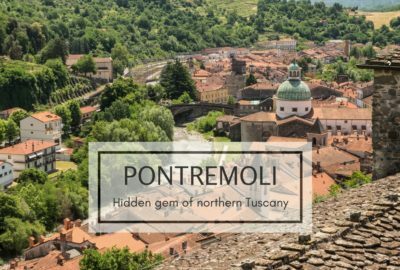 From there, after a visit to these lovely hamlets, you can proceed by bus to Pienza, Montalcino and San Quirico d’Orcia and all the other villages of this area listed as UNESCO World Heritage site of Tuscany. For the bus connections, check here. To reach the beautiful nature of Mugello in the northeastern part of Tuscany, from Florence you can get the regional train that goes to Faenza (in Emilia Romagna). S. Piero a Sieve, Borgo San Lorenzo, and Marradi are the main places. If I were you I would not miss visiting the area in autumn when they celebrate the chestnuts, the traditional fruit of the fall, with many “sagra” where you can taste it in many different ways and recipes. 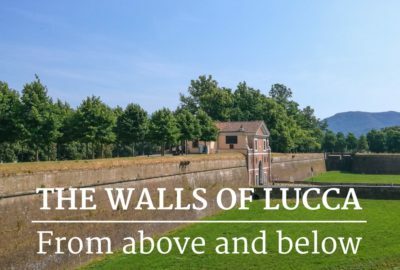 You can easily cross the wild and mountainous region of Garfagnana and Lunigiana getting a regionale train from Lucca or from Aulla. Along this railway line is plenty of places off the beaten path to discover. Borgo a Mozzano is known for the Devil’s Bridge and the Halloween festival. Barga is famous to be one of the most beautiful villages of Tuscany and for the summer jazz festival. 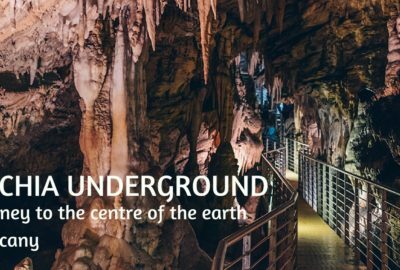 In Equi Terme you can be an explorer for a day at the Geo-Archaeological Park, and during Christmas, visit the suggestive living nativity scene along the alleys of the village and into the grotto. Castelnuovo Garfagnana and Fivizzano are other two lovely villages where to stop for a visit to their castles and taste delicious traditional food. If you do not land directly in Tuscany, the closest and more comfortable airport to fly to is the Bologna International “Marconi” Airport. Every 11 minutes there is a shuttle bus that connects the airport to the Central Rail Station. From there you can choose a Frecciarossa that in less than an hour will bring you to Florence SMN. The International airport of Milano Malpensa (MPX) is connected with the railway terminal of Milano Centrale by the Malpensa Express train or the Malpensa Shuttle bus. If you land at Linate Airport in Milan, you can reach the central rail station by Air Bus. In case you land at Bergamo Orio al Serio Airport, there is the Orio Shuttle bus. 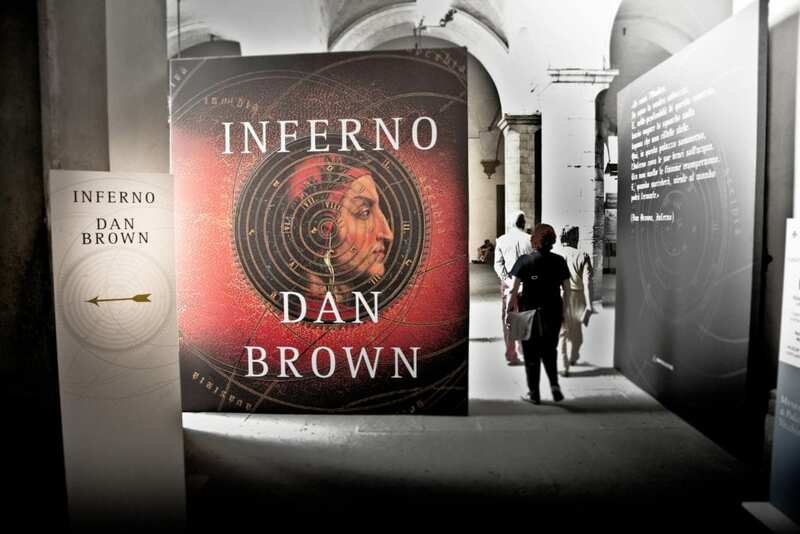 Once in Milano Centrale Terminal, head to Florence with Frecciarossa, or Italo. Instead, if your destination is the coast (Carrara, Massa, Viareggio, Pisa, Livorno) there are the Frecciabianca, the Intercity or Regionale trains at your choice. From the International Airport Leonardo da Vinci of Fiumicino (FCO) in Rome, you can use the non-stop shuttle train Leonardo Express provided by Trenitalia. Every 15 minutes it connects the airport to Roma Termini station. From there you can choose to reach Tuscany by high-speed trains (Italo, Frecciarossa or Frecciargento) or by regionale veloce train. You can buy your tickets online on Trenitalia and Italo websites or directly at the train stations. Consider that only the biggest towns have a ticket office, while most of the small stations have only ticket machines and ticket desks open only a few hours per day. What about rates? High-speed trains are not so cheap, especially if you buy tickets close to departure. Instead, if you book in advance you can find really nice prices and special offers. I suggest you look at both websites as they always do offers (for example Saturdays and Sundays offers, train + car offers …). Online tickets are personal and only the named person can travel with it. They do not need to be validated before to get on the train and to be printed out too. The only thing you need is the PNR code to show in case of control. This rule works for all kind of trains. Paper tickets bought at the train station need to be validated at the specific machine before departure (in Italian we say obliterare il biglietto), otherwise, you can incur a penalty. 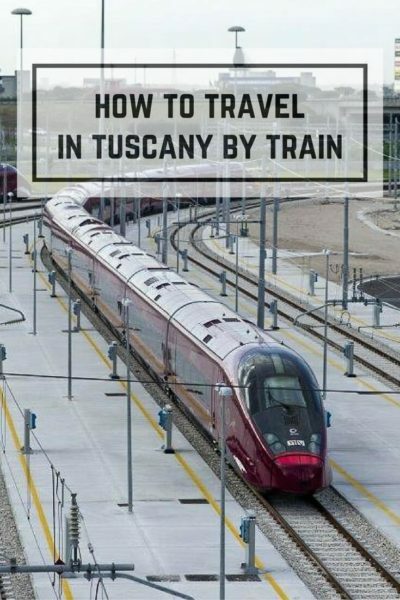 I end this post about how to travel in Tuscany by train with a small glossary that can be helpful once you have to organize your trip. Frecciarossa: the fastest high-speed trains of the country that can reach the speed of 300 km/h (186 mi/h) making easier the connection between the main cities of Italy in only a few hours. Frecciargento: fast comfortable trains that run along both the high-speed and normal railways, reaching the maximum speed of 250 km/h (155 mi/h). Regionale: slow trains that stop at every station and allow visitors to reach even small destinations. Regionale Veloce: local trains that go faster than Regionale and do not stop in all stations along the railway. Obliterare: validate the ticket at the specific machine in the train station. 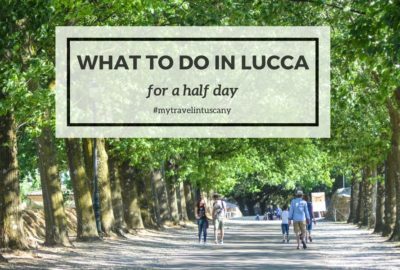 For other handy information about traveling in Italy by train, take a look here at this post written by the Italian Storyteller Eleonora. If you get any other question, leave a comment and I will be glad to help you out.